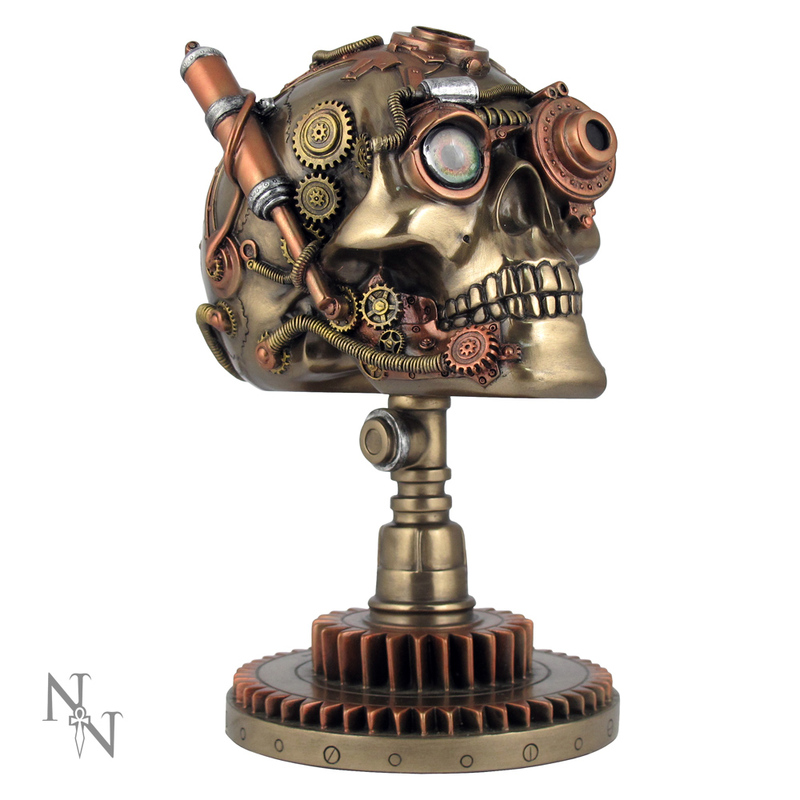 The perfect unique steampunk ornament just for your house! It is covered in a multitude of cogs, gears, and wires. The left eye is covered by a bronze monocle, pipes connected. 23cm 'Bionic Ocular Receiver' Figurine from Nemesis Now.